Jamnagar, Feb 23 (UNI) Two accused in the recent triple murder case of Chandigarh were arrested from a private guest house at the small port town of Okha, about 150 km from here, minutes before they were allegedly attempting to commit suicide. 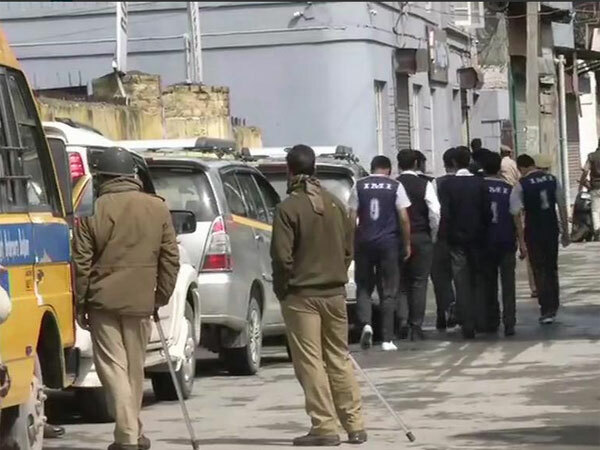 Local police said Anil Tyagi and Ravikant Tyagi were involved in the triple murder case, in which one Pavandeep Singh and his accomplice had allegedly shot dead his father and stabbed to death his mother and father's sister. When Okha police station head constable K B Jadeja reached the Raj Guest House, the two accused were attempting to commit suicide and had even kept the note ready. One of the two accused is said to be a chartered accountant. A team of the Chandigarh Police had monitored the two accused's movements by keeping track of their phone calls, local police said. The Chandigarh police team, which had arrived here after the arrest, took the two on transfer warrant back to the Union Territory. They monitored their movements by keeping track of the accused's phone calls, police added.